Spring’s been a long time coming, especially for our residents, who have been itching to get out in Fairdene’s beautiful garden. The first flush of good weather was excuse enough for a tea party, so the kitchen got busy with making cakes, and the residents installed themselves on the lawn. Getting out in the garden is a huge joy for our residents, and we’ve made it as tranquil space as we possibly can. There’s also the added element a recreation of the post war era, with shops, tea rooms, memorabilia, costumes, food and drink, and music lovingly put together to bring back memories of the 1940’s. It helps keep residents connected with their pasts, and provides them with entertainment, fun, and something to have a good old chat about. Families and friends of residents also enjoy taking a trip down memory lane with their loved ones, and it’s certainly a talking point for many that visit. We’re always thinking of new ways to keep the memories of our residents alive, and with this special approach at our Sussex care home, we’re hoping to prove that it doesn’t have to be boring! See the Memory Lane video here. The variety, quality, and high nutritional value of good food is something we believe shouldn’t be compromised when it comes to residential care for the elderly; not least because diet can have such an impact on health, as well as quality of life. That’s why we take nutrition very seriously at our residential care home in Sussex. Using as much local produce as possible, our chef whips up a variety of delicious meals, enabling all our residents to choose what they’d like to eat each day. The menu can be adapted to suit different tastes as well as cater to specific dietary needs. Our staff are on hand at every meal time to not only make sure everything is to everyone’s liking, but also to offer explanation around the food. We consistently support residents at meal times, and encourage them to eat and drink well. 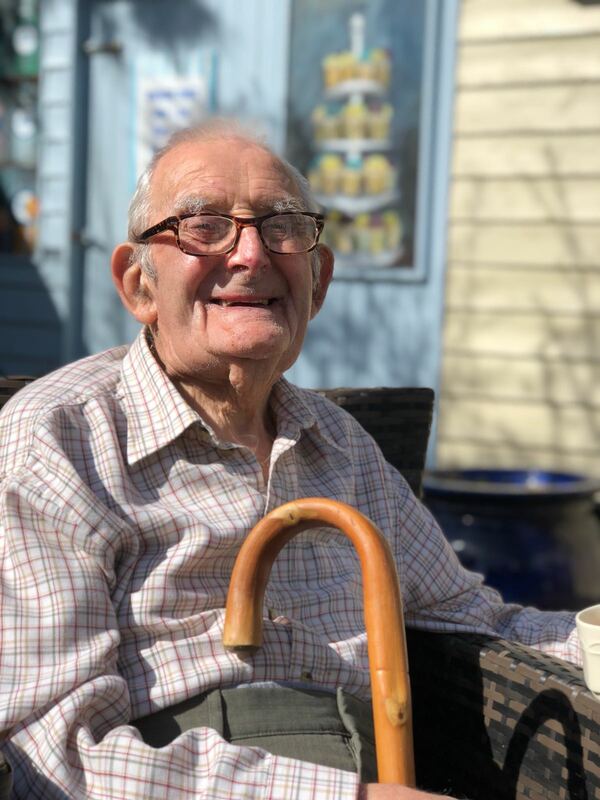 Food is a source of joy for so many, and we’re keen for this to continue to be the case for the residents at our residential care home in Sussex. Contact us for more info. There are many challenges that dementia can present, both for the individual, and for the people around them. There’s no doubt that it can change the lives of entire families, and we understand that in many cases isn’t possible to manage the needs of sufferers at home. That’s where we come in, providing dedicated residential care at our specialist dementia care home in Sussex. Becoming disorientated is a common characteristic of dementia, so we make it as easy as possible for residents to recognise different areas of the home. Our reception rooms are zoned, for example, so that it’s easier to distinguish each one from each other. 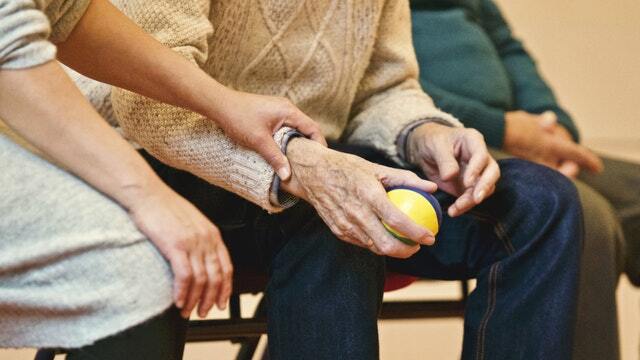 Memory loss is one of the most well known aspects of dementia, so we regularly hold reminisce sessions to help residents get in touch with their pasts. Whilst the condition is known for reducing people’s judgement, understanding and thinking speed, our dedicated team are trained to encourage resident’s independence and decision making as much as possible. We promote freedom of choice and ensuring all of the people in our care e njoy a high quality of life their way. Residents and families aren’t just supported by the Fairdene Lodge team; we regularly welcome Brighton & Hove In-reach team. They consist of specialist dementia nurses and occupational therapists. These wonderful people provide valuable advice and guidance to residents, relatives, and staff. 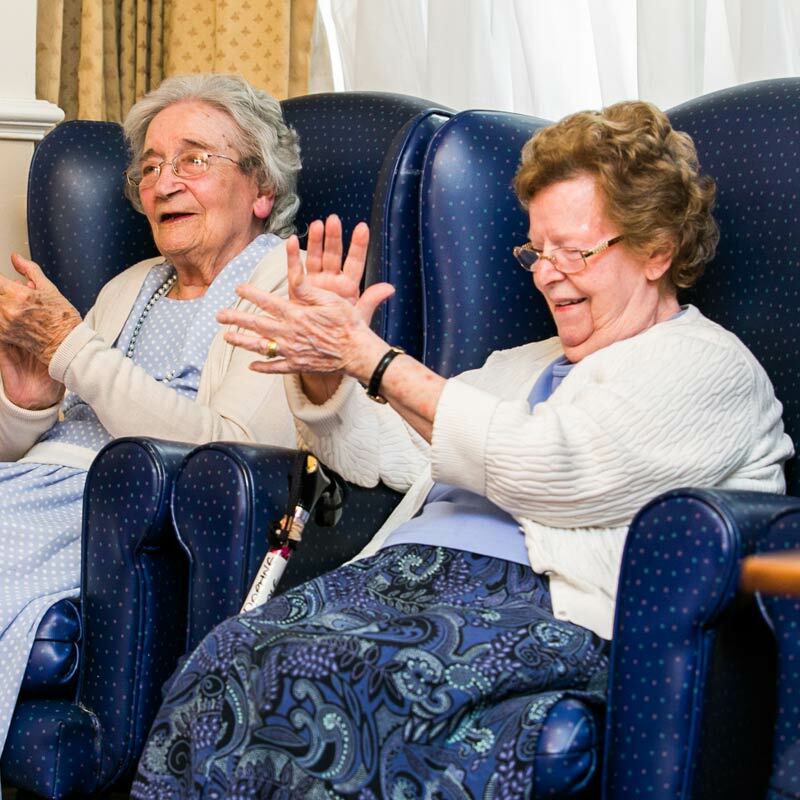 We’re proud for Fairdene Lodge to be such a popular dementia care home in Sussex. We’re always happy to answer any questions about the care we provide via the contact details here. Call and visit more often, ensuring they’re up and well. Make sure they know where you are and how to contact you should they have any problems. Make sure they’ve got at least the basics in the cupboard and freezer, in case it’s too cold to go shopping, or the shops will be shut for days over Christmas. Pharmacies can have unpredictable opening hours during the festive period, and may be difficult to get to in bad weather; make sure your friend, relative or neighbour has enough of their medication to last them until they’re able to get to a pharmacy again. If bad weather strikes, limit the risk of slips and falls by clearing snow and putting salt down on any icy patches. Helpful if the individual struggles with communication; just make sure to take care of the tone you use. Within reason, your proximity to the person won’t affect their understanding of you; get too close and you could be intimidating. Our team specialise in making life as full as possible at Fairdene Lodge – get in touch if you’d like to know how we could support your loved one. When choosing a care home in Sussex for your relative, you want to be reassured that they’ll receive a high standard of care, as well as a homely environment, and plenty to keep them busy. Our glowing CQC report is proof that our dementia care home in Sussex is one you can trust. The Care Quality Commission is the regulator of health and social care services, ensuring safe, effective and compassionate care is conducted in hospitals, care homes, GP practices, dentists, ambulance services, and mental health services. Read the whole CQC report here. With up-to-date facilities, a team of trained staff, and excellent links to the local healthcare providers, our Brighton care home is best placed to provide excellent care to our residents. We care for older people living with varying stages of dementia, as well as elderly people with sensory impairment and other healthcare needs. Our core team operates like a family, supporting our residents in decision making and expressing themselves, and working with relatives and healthcare professionals to ensure the best quality of life for our residents. With dementia in particular, our staff are trained to deal with and manage the challenges that it can present, and our home is designed and equipped to make life make sense as much as possible for residents. Our hallways are zoned to aid orientation, and we regularly hold reminiscence sessions to help residents get in touch with their pasts. We’re always happy to answer questions about the kind of care we provide at Fairdene Lodge – contact us here. Dementia is a general term that encompasses a range of symptoms associated with a decline in cognitive function, with the effect on memory one of the more well known presentations of the disease. It’s common for sufferers of dementia to struggle more with their short-term memory than their long-term, meaning it’s easier for them to recall events from the distant past rather than the last few weeks, for example. This is where the care for our dementia patients in Brighton had to be approached with creativity – and so we came up with our Memory Lane, featured last year on Meridian News! We’ve turned our special garden into an area that recreates the post war era, with shops, tea rooms, memorabilia, costumes, food and drink, and music lovingly put together to bring back memories of the 1940’s. It helps keep residents connected with their pasts, and provides them with entertainment, fun, and something to have a good old chat about. Families and friends of residents also enjoy taking a trip down memory lane with their loved ones, and it’s certainly a talking point for many that visit. We’re always thinking of new ways to keep the memories of our residents alive, and with this special approach to care for dementia patients in Brighton, we’re hoping to prove that it doesn’t have to be boring! See the Memory Lane video here.